On the first Tuesday of every month at Lil’ Indies, writers share new work inspired by the last 30 days of news. Founded by Tod Caviness and hosted/curated by a rotating cast of Orlandoans. Look for event details on our event page and join our e-mail newsletter to stay in the loop. 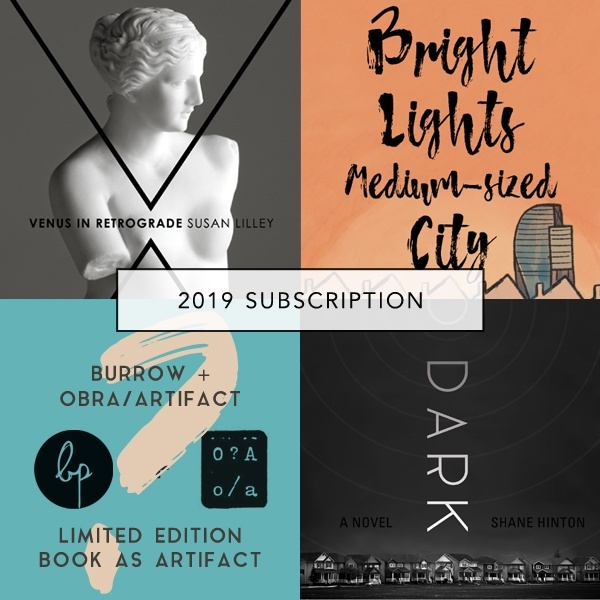 Burrow Press publishes four, carefully selected books each year, offered in an annual subscription package for a mere $60, which is about the cost of one wild night at Lil' Indies. Subscribers directly support our publishing program, putting more money into our authors' pockets and allowing us to take more artistic risks with what we publish. In return, you get the year's 4 books + ebooks + free shipping, name recognition in each book and on this site, and membership into our not-so-secret society: the illiterati, to whom we offer random and delightful perks throughout the year.